The Recording Academy announces that the 59th annual Grammy Awards will pay homage to Prince and George Michael, who both died in 2016. While the primary focus of the Grammy Awards is to celebrate and honor the year’s best in music, we consider it our responsibility to tell music’s broader story by honoring its legends lost—that’s what we strive to achieve with our annual tributes. While it’s nearly impossible to convey the full depth of an artist’s cultural impact in a single performance, it’s that very challenge that has led us to some of our most memorable Grammy moments. Prince announces a short-notice concert, featuring his band 3rdEyeGirl, scheduled for May 19 at Toronto’s Sony Centre for the Performing Arts. Tickets go on sale at noon Monday through Live Nation. The musician’s HitnRun tour is built around the concept of near-impromptu performances in different cities. 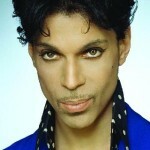 Prince announces a “Rally 4 Peace” concert in Baltimore at the Royal Farms Arena on Sunday, May 10. 3rdEyeGirl and other acts will also perform. A portion of ticket sales will benefit of Baltimore youth charities. 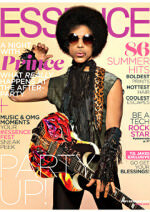 Prince appears on the cover of Essence magazine and discuss making music and if he would ever start making music with the band, The Revolution. I’m not putting down The Revolution, even though people would love to see us together again. I owe a great debt to them. But I’m doing something else. Prince is interviewed by Hall on The Arsenio Hall Show. They talk about how he would like to create his own Instagram, working with other musicians and how he feels about putting music online. It’s a double edge sword. A lot of artists aren’t getting paid full scale for their art and the internet because of downloading and things like that is kind of like a blackhole. It’s hard to audit, it’s hard to get accounting. Prince wins the Grammy for Best Male R&B Vocal Performance for Future Baby Mama. Prince wins the Grammy for Best Male R&B Vocal Performance for Call My Name, and Best Traditional R&B Vocal Performance for Musicology. Prince performs Daddy Pop along with a dance routine on The Arsenio Hall Show in Los Angeles, California. Prince And The Revolution wins the Grammy for Best R&B Performance By A Duo Or Group With Vocal for Kiss. Prince And The Revolution wins the Grammy for Best Rock Performance By A Duo Or Group With Vocal and Best Album Of Original Score Written For A Motion Picture Or A Television Special for Purple Rain. Prince wins the Gammy for Best Rhythm & Blues Song for I Feel For You.